Q: What is the best treatment for spider veins in the legs? Sclerotherapy, a treatment where a solution is injected into the veins. The solution irritates the lining of the blood vessels, causing them to collapse and fade from view. Board Certified Plastic Surgeons that perform Microdermabrasion in your area. Rita Wilson’s Reconstructive Surgery: A Realistic Option for Cancer Patients? 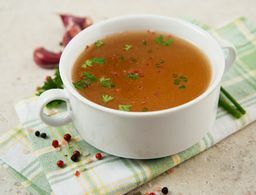 Bone Broth for Beauty: Sip or Stay Away?